Russell Brown at Media 7 talks with Roger Shepherd about his recent Flying Nun records re-acquisition. Soon a 1st edition of James K. Baxter’s Small Ode on Mixed Flatting will be on my book shelf. Thank you Renaissance Books, Dunedin. Here’s an earlier post about the Caxton Press. While browsing some old editions of Home and Building via the NZETC, I came across a wonderful article about the Caxton Press. This is relevant to the project for a couple of reasons: the project on named flats has it genesis in a print culture study, and therefore owes a great deal to the history and culture of print in New Zealand. 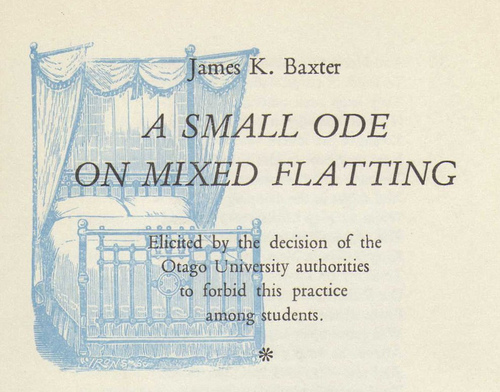 Secondly, Baxter’s poem “A Small Ode on Mixed Flatting” was published at Caxton. 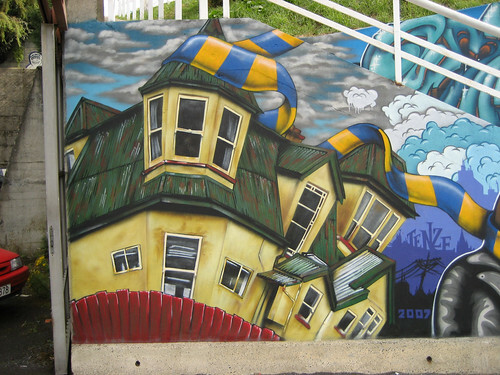 A Small Ode On Mixed Flatting. Christchurch: The Caxton Press, . Brasch PR 9641 B3 S5.